Where is it? 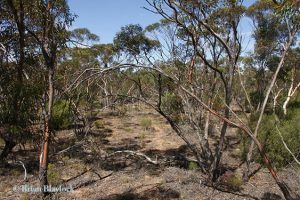 : This park is between Redhill and Port Broughton. 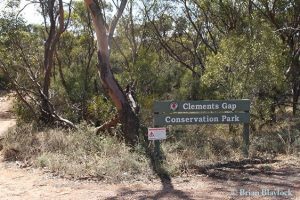 Clements Gap Road dissects the park. 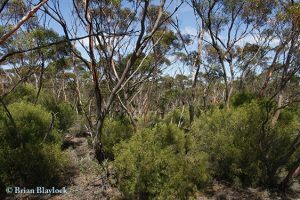 History: Sections 439-442 were designated as Mundoora Conservation Park on 17 October 1963. On 3 November 1981 it was re-proclaimed as Clements Gap Conservation Park. 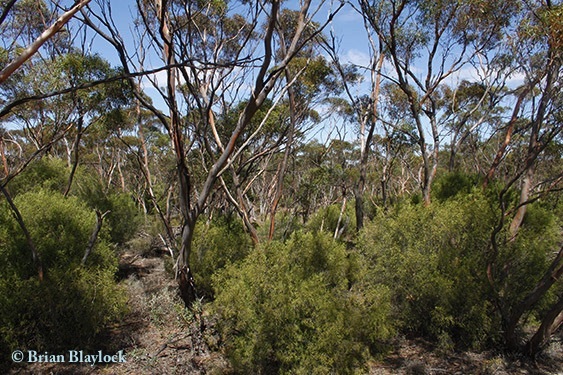 Habitat: The main vegetation association within the park is Open Mallee with the dominant overstorey being Red Mallee (Eucalyptus oleosa, E. socialis), Chindoo Mallee (E. brachycalyx) and Yorell (E. gracilis). 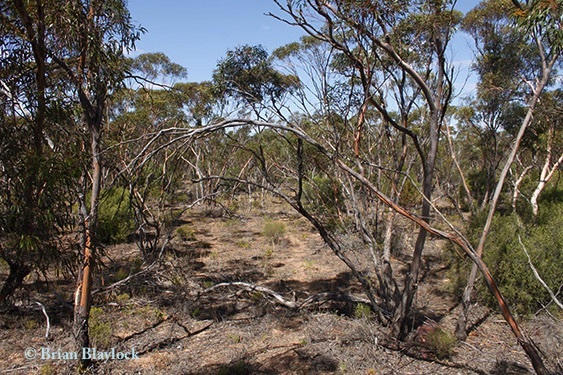 The understorey plants includeNative Apricot (Pittosporum angustifolium), Fragrant Saltbush (Rhagodia parabolica), Blue-bush Daisy (Cratistylis conocephala) and Dune Wattle (Acacia ligulata).